Renowned international professional bonsai artists will present lectures and demonstrations, workshops and critiques of bonsai. Registrants will have weekend-long opportunities to observe and spend time with the artists at breakout sessions between demonstrations and to view the MABS member clubs’ Bonsai Exhibit and the Professional Invitational Artists’ Bonsai Exhibit. In addition, bonsai vendors will be on site offering a large selection of bonsai, bonsai-related plants, containers, tools, books and other supplies. The hospitality area will be in the Royal Foyer. To welcome all registrants, complimentary snacks and beverages will be provided starting at 6:30 p.m., Friday evening and again after the lecture/demonstration. artists, John Thompson. Each bonsai creation will be raffled following the completion of styling by its respective artist. 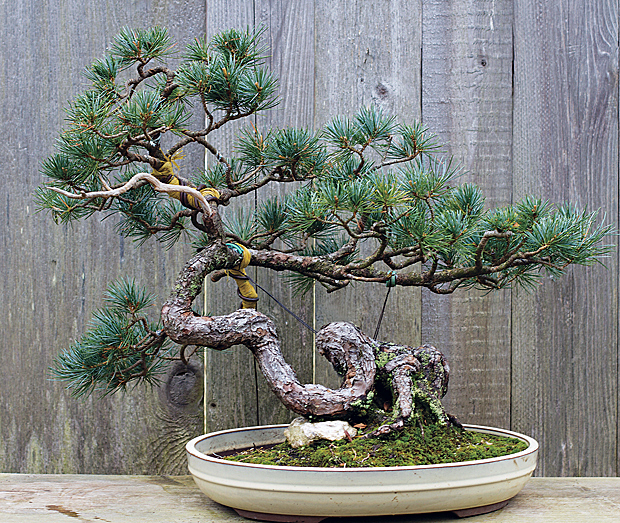 On Friday from 8 AM to 5 PM, there will be a New Talent Competition sponsored by the American Bonsai Society. The winner will receive from MABS a prize of $500 for expenses to participate in the National Competition at the ABS Convention which will be held in Denver on June 21-24, 2012. The winner is guaranteed acceptance to compete in the National Competition. Applicants to the MABS regional competition must be members of a MABS club and must have been involved in bonsai for less than 10 years. Past competitors can participate unless they won the National Competition. To apply for the regional contest: Send photos of three bonsai designed by the applicant to Pauline Muth at ABS@pfmbonsai.com. The deadline for applying is March 10, 2012.